Wanna get an idea for what training at American Boxing is like like??? 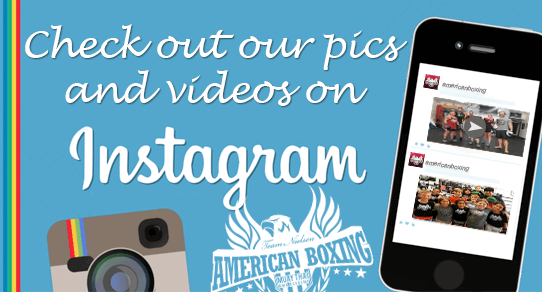 Check out pictures and videos of Boxing, Muay Thai Kickboxing and Kids classes on our Instagram Page... Follow us for Special Offers! Learn PROVEN Muay Thai from a WCK, IKF and WBC 7X Undefeated Muay Thai Champion Kru Dave Nielsen. 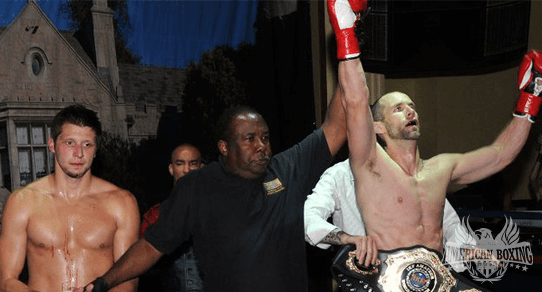 Former Muay Thai World Champion Kru Dave Nielsen is a Champion who PRODUCES Champions. Be his next Champion and start training today! American Boxing attracts the Worlds Best fighters for a reason! Uriah Faber visiting American Boxing to dial in some Muay Thai Kickboxing Technique. 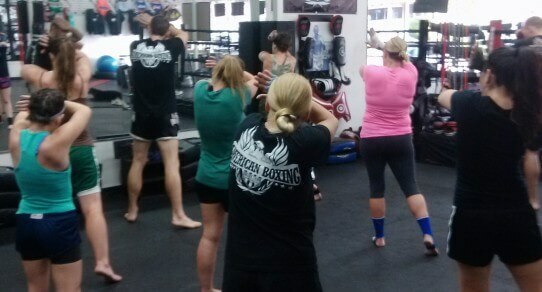 San Diego's Oldest Kids Muay Thai Kickboxing Program! Class size capped at 12! Happy, Fit, Respectful, Athletic, Bully Proof kids...that's what we produce. Bring your son or daughter in to try a class! Ages 5 and up. Ladies throwing elbows... Some dangerous beauties! Women's only training upon invite. Try a FREE Class Today!Established in 2003. Family Owned and Operated. Classes with 12 or Less Students! The BEST environment for safety, proper technique and conditioning! As San Diego’s Oldest Muay Thai Boxing and Fitness gym, now with a Surf Club, American Boxing is 1.5 miles to the beach and famous Crystal Pier in Pacific Beach San Diego. American Boxing offers Classes and Personal Training in Muay Thai, Boxing, Kickboxing, MMA (Mixed Martial Arts), Jiu Jitsu, Wrestling, Grappling, H.I.I.T. (high intensity interval training) and even Beginner Surf Lessons with FREE board rentals! American Boxing was founded and Operated by Coach/ Kru Dave Nielsen, a lifelong Holistic Health Practitioner, Fitness Professional, Self Defense Instructor, Combat Sports Expert and Avid Surfer. Read his bio! With it’s unique vibe, a heavy focus on technique, philosophy, intense cardiovascular conditioning and functional strength training American Boxing is guaranteed, like no other “gym”. People often ask, “What is class like?”, honestly, there is no answer to that. “First time” beginners are common in our 101 classes along with more advanced students. The important thing to understand here is the training environment! Everyone in class is extremely nice and helpful! This is a family of people that just want to learn, get technically better and get fit. The more they help you, the more you can help them as a future training partner… That’s a win, win situation ;-) There is no typical class at American Boxing. Each class, each day, is catered and programmed based on the people in class, so it is more like a group personal training session. The only difference being that in class, you do what Coach wants you to do, and in Personal Training, it’s your decision or simply let Coach Dave program, based on your goals. Classes are held 7 days per week and have a guarantee of 12 or fewer students to ensure the best possible learning environment! Expect to be challenged both mentally and physically most days with a great sense of camaraderie, fun and accomplishment. Check out our 101 Beginner class schedule here and sign up now. World class technique is taught progressively by Coach Dave using his unique approach of analogies and micro-biomechanics (the smallest often untaught, critical movements). 1st Time Beginners and Seasoned Pros are both blown away with how fast they pick up the most challenging of techniques. Respect and a 100% effort is expected of each person daily, although Coach Dave understands we are not 100% every day, therefore he insists on prompt and direct communication from participants upon arriving daily. Kids Classes are Coach Dave’s favorite to teach. Kids are held accountable, act respectful and are very kind. They play and have their fun with Coach, who acts more like their fun uncle but keeps them inline like a Coach. 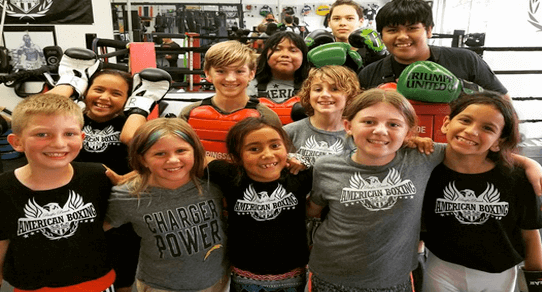 American Boxing Muay Thai and Fitness directly serves the La Jolla, Pacific Beach, Clairemont and surrounding areas but often houses students and fighters from all over San Diego county, Europe, Australia and Asia. We’re here to build a better you in every way. Thanks for reading about our gym, American Boxing! Our Semi-Private Muay Thai Boxing, Personal Training and MMA (mixed martial arts) Club is located in Pacific Beach San Diego California in the USA, a perfect 1.5 mile jog to the sand. Our Muay Thai, Boxing and Cross Training classes of less than 12 people allow you get the attention you need, want and deserve! American Boxing specializes in Muay Thai, Kickboxing, Boxing, MMA and Fitness, Real World Self Defense, Kids Boxing and Youth Martial Arts, USA Amateur Boxing, MMA Training, nutritional assistance, lifestyle coaching, weight loss and toning programs. Click a thumbnail image below to watch an American Boxing training in action, or a video review! American Boxing Will Help You Meet Your Fitness Goals! Whether you’re looking for fitness, competition, self-defense, stress release, self confidence or just plain Fun. Let us turn you into a Champion!